For paid sponsors, while your entire sponsorship fee goes to charity, please be aware that you may only deduct the portion of your donation that exceeds the fair market value of your sponsorship. We are not providing any tax or accounting advice or services, and should not be relied upon as a substitute for consultations with qualified professionals who are familiar with your individual needs. Please consult your accountant or tax advisor, regarding tax deductibility of any donations or sponsorships. By accessing or using any Services, including without limitation by downloading, installing or using any associated software, APIs or apps supplied by the Company, including any for which the purpose is to enable you to use the Services (collectively, the “Software”, which is considered a part of the Services), you agree to the terms of this Agreement. Any reference to the “website(s)”, the “web site(s)”, the “site”, “www.chess4charity.org”, www.chess4charity.com, chess4charity.org, chess4charity,com, or other similar references, shall include any and all pages, subdomains, affiliated domains, brands, products or other areas of our website, or any other affiliated sites or domains owned or operated by or on behalf of us, plus any of the online content, information and services as made available in or through the website. The Services include without limitation all aspects of the website, or of any app or other product or service, including but not limited to all products, Software and other applications, features, channels and services offered therein. Any reference to “content” shall include all content in all forms or mediums, such as (without limitation) text, software, scripts, graphics, photos, sounds, music, videos, audiovisual combinations, interactive features and other materials you may view on, access through, or contribute to the Services. You must be at least 18 years of age, and, where law requires an older legal age, of legal age for contractual consent or older to use this website and/or the other Services. Due to the age restrictions, no content or information from the Services falls within the Child Online Privacy Protection Act (“COPA”) and is not monitored as doing so. All information and services are exchanged electronically, via the internet. You are responsible for maintaining your own access to the internet. You consent to receiving communications electronically. Company is a privately owned and operated company and does not represent or speak for any governmental office or authority. You may acquire additional products, services and/or content of ours from our websites or Services. We reserve the right to require that you agree to separate agreements as a condition of your use and/or purchase of such additional products, services and/or content, which terms will apply in addition to these Terms. upload, post, publish, transmit, reproduce, or distribute in any way, information, software or other material obtained through the Services which is protected by copyright, or other proprietary right, or derivative works with respect thereto, without obtaining permission of the copyright owner or rightsholder, or which otherwise violates or infringes the rights of others, including without limitation, patent, trademark, trade secret, copyright, publicity, or other proprietary rights. With respect to any Software, including without limitation subscription software as a service, subject to the terms and conditions of this Agreement, we hereby grant to you a limited, nonexclusive, non-transferable license to access and use such Software during the term of this Agreement, solely by the number of authorized users, and only up to the approved and mutually agreed usage volumes, as set forth on the applicable ordering document or as otherwise mutually agreed, and solely for internal and non-commercial purposes, provided that you shall also comply at all times with all official documentation, technical manuals, functional manuals, operator and user guides and manuals. You shall not, and shall not attempt to (and shall not authorize or allow any third party to or attempt to): (a) download or otherwise obtain a copy of the Service (as applicable as such term is used herein, including any portion thereof) in any form; (b) reverse engineer, reverse compile, decompile, disassemble, or translate, exploit, or otherwise derive the source code of the Service or otherwise modify, the Service, or create any derivative works thereof; or (c) use the Service on behalf of any third party or for any purpose other than as described in this Agreement; (d) sell, resell, lease, license, sublicense, distribute, reproduce, copy, duplicate, or otherwise transfer or exploit the Service or use it as a service bureau; (e) post, send, process or store infringing, obscene, threatening, libelous, or otherwise unlawful or tortuous material, including material violating of third party rights; (f) post, send, process or store material containing software viruses, worms, Trojan horses or other harmful or malicious computer code, files, scripts, agents or programs; (g) interfere with or disrupt the integrity or performance of the Service or attempt to gain unauthorized access to the Service or related systems or networks; (h) remove, alter or obscure any titles, product logo or brand name, trademarks, copyright notices, proprietary notices or other indications of the intellectual property rights and/or our rights and ownership thereof, whether such notice or indications are affixed on, contained in or otherwise connected to the software or on any copies made in accordance with this Agreement; (i) remove, alter or obscure any titles, product logo or brand name, trademarks, copyright notices, proprietary notices or other indications of the intellectual property rights and/or our rights and ownership thereof, whether such notice or indications are affixed on, contained in or otherwise connected to the Service, or documentation, or on any copies made in accordance with this Agreement; (j) use, or authorize or permit the use of, the Service except as expressly permitted herein; (k) use the Service to perform any activity which is or may be, directly or indirectly, unlawful, harmful, threatening, abusive, harassing, tortuous, or defamatory, nor to perform any activity which breaches the rights of any third party. The Service may be used only by you (i) for your internal business purposes and only for your direct benefit; (ii) only by the number of persons for whom a license fee has been paid, and all such use may only be by those persons using the Service for the benefit of you in the course and scope of their employment, subject to the terms hereof; (iii) only in its original form without alteration or combination with other products, services or software except as expressly authorized in any applicable documentation; and (iv) in compliance with all applicable laws and in compliance with all documentation and instructions provided by us. You agree not to copy, duplicate or imitate, in whole or in part, any concept, idea, business model, business process, product, service or other intellectual property or other ideas or content embodied in the Services or learned by you from your use of or access to the Services. You agree not to use the Services to violate any local, state, national or international law or to impersonate any person or entity, or otherwise misrepresent your identity or your affiliation with a person or entity. We grant to you a limited, revocable, and nonexclusive right to create a hyperlink to our publicly available website(s), subject to the terms hereof, provided that the link does not portray us or our products or services in a false, misleading, derogatory, or offensive matter, and provided you do not i-frame them or alter the content therein or in any way imply a relationship therewith. You may not use any logo, trademark, or tradename that may be displayed on this site or other proprietary graphic image in the link without our prior written consent. You shall be solely responsible for your own content and any Pubic Postings and Submissions. You affirm, represent, and warrant that you own or have the necessary licenses, rights, consents, and permissions to publish content you post or submit. You further agree that content you submit via Public Postings or Submissions will not contain third party copyrighted material, or material that is subject to other third party proprietary rights, unless you have permission from the rightful owner of the material or you are otherwise legally entitled to post the material and to grant us all of the license rights granted herein. You further agree that you will not submit to the Services any content or other material that is contrary to any posted “community guidelines” or similarly titled document, if any, which may be updated from time to time, or contrary to applicable local, national, and international laws and regulations. If and to the extent any portion of the Services may require a fee payment, donation or incremental payment or subscription, you agree to pay/donate to Company any applicable fees posted for the Services. By completing and submitting any credit card or other payment authorization through the Services, you are authorizing Company to charge the fees to the account you identify. You must keep all billing information, including payment method, up to date. You agree to pay us for all charges incurred under your account, including all applicable taxes, fees, and surcharges. You authorize and direct us to charge your designated payment method for these charges or, if your designated payment method fails, to charge any other payment method you have on file with us. Further, you authorize and direct us to retain information about the payment method(s) associated with your account. If we do not receive payment from your designated payment method or any other payment method on file, you agree to pay all amounts due upon demand by us. You will be responsible for accrued but unpaid charges, even if your account is canceled by you or terminated by us. During any free trial or other promotion, if any, you will still be responsible for any purchases and surcharges incurred using your account. 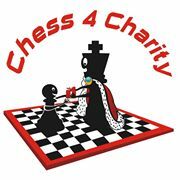 Chess 4 Charity is a non-profit corporation and all profits go to the stated charity, but some small deductions may be taken off for costs and expenses. For example, when using PayPal, credit cards, or other payment methods to donate, some payment providers may deduct or charge us a small processing fee from your donation. IN NO EVENT SHALL WE OR OUR AFFILIATES BE LIABLE FOR ANY INDIRECT, INCIDENTAL, CONSEQUENTIAL OR SPECIAL DAMAGES, OR FOR LOSS OF PROFITS OR DAMAGES ARISING DUE TO BUSINESS INTERRUPTION OR FROM LOSS OR INACCURACY OF INFORMATION, INCLUDING IF AND TO THE EXTENT ANY OF THE FOREGOING ARISES IN CONNECTION WITH THIS AGREEMENT OR YOUR USE OR INABILITY TO USE THE SERVICES, WHETHER OR NOT SUCH DAMAGES WERE FORESEEABLE AND EVEN IF WE WERE ADVISED THAT SUCH DAMAGES WERE LIKELY OR POSSIBLE. IN NO EVENT WILL THE AGGREGATE LIABILITY OF US TO YOU FOR ANY AND ALL CLAIMS ARISING IN CONNECTION WITH THIS AGREEMENT OR THE SERVICES, EXCEED THE TOTAL FEES PAID TO US BY YOU FOR SERVICES, IF ANY, DURING THE SIX-MONTH PERIOD PRECEDING THE DATE OF ANY CLAIM (OR $10 IF THE SERVICES ARE FREE). DONATIONS ARE NON-REFUNDABLE. YOU ACKNOWLEDGE THAT THIS LIMITATION OF LIABILITY IS AN ESSENTIAL TERM BETWEEN YOU AND US RELATING TO THE PROVISION OF THE SERVICE TO YOU AND WE WOULD NOT PROVIDE THE SERVICE TO YOU WITHOUT THIS LIMITATION. You acknowledge that the information on the Website and other Services is provided ‘as is’ for general information only. If you use the Services to provide any services in any heavily regulated industry, such as, without limitation, medical, legal, tax or financial advice, you are fully responsible for all such services, and represent and warrant that you are appropriately qualified and certified to do so, possessing all necessary licenses and permits to do so. You indemnify us for any failure by you or your agents to do so and/or to follow any applicable laws, rules and regulations. You may use the Services for informational purposes only, as an aid, but only as one information source among many, and not as the sole basis for making any decisions; you must conduct proper due diligence and use your own judgment when making any decisions based on any information, analytics or reports derived from the Services. Company’s designated method to receive notifications of claimed infringement is by emailing the Copyright Agent at Chess4Charity@aol.com You acknowledge that if you fail to comply with all of the requirements of this Section your DMCA notice may not be valid. Your name, address, telephone number, and e-mail address, a statement that you consent to the jurisdiction of the federal court in Northern Virginia, and a statement that you will accept service of process from the person who provided notification of the alleged infringement.